Grapevine is a mid-sized city located in the state of Texas. The city has a population of 50,538 people. According to the most recent Census, 80% of Grapevine residents are White, 6% Asian and 4% Black. Grapevine is known to be family friendly as more than 76% of the population has already tied the knot. It might also be worth noting that 56% of residents also have children under the age of 18. Are you trying to ascertain if living in Grapevine is the right fit for your lifestyle? To ensure a good experience before relocating to any new city in Texas, you will probably want to make sure that you check all of the most important boxes. The best areas in Grapevine and in surrounding cities are easier to find when you are able to make informed decisions. Using data from crime, education, employment, housing, you will see a detailed breakdown of the most important information as well as comparisons to the Texas and national averages. Grapevine, TX receives 90/100 for its livability score; this results in a ranking of #29 in Texas and #43 in the USA. This is a fantastic score, as Grapevine ranks well in multiple categories! Grapevine is also ranked in the top 10 percentile of all cities across the USA. If we dig a little deeper into each category within the livability score, we see that Grapevine has higher than average grades for the following: amenities (A+), crime (B+), weather (B), education (A+), employment (B) and housing (A). Unfortunately for Grapevine, there are some categories for which it does not rank well, this includes: cost of living (F). Conveniently located amenities and interesting attractions are a great way to continuously enjoy Grapevine on a regular basis. Knowing that there are an abundance of amenities and things to do can ensure that you always have access to nearby grocery stores, restaurants and coffee shops. Here are some of the more popular things to do in Grapevine: Grapevine Historic Main Street District, Legoland Discovery Center, and Sea Life Aquarium. Knowing that the Grapevine schools rank highly for test scores plays an important factor in deciding if this area is the right place to live. The average school test scores are 84%, which is far higher than the national average. 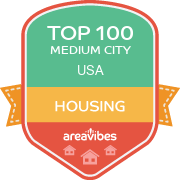 Based on multiple factors including: median home and rental prices, appreciation rates and home affordability, Grapevine has received high marks in the housing category. Based on these calculations, the apartment rental and real estate market appears to be very healthy. Certain items on your wish list like shopping, restaurants, nightlife and proximity to public transportation are all important factors to search for. Having said that, perhaps the most important metric to consider when contemplating a move to Grapevine is real estate affordability. Median real estate prices in Grapevine come in at $258,400, which is 81.1% higher than the Texas average. The home price to income ratio compares the median home prices to the median household income. In Grapevine, the home price to income ratio is 3.2, which is 23.1% higher than the Texas average. Year over year appreciation rates for homes in the Grapevine area were 2.8% and the 5 year appreciation rates came in at 8.1%. Why is this important? Knowing the appreciation rates for any area is a quick and easy way to determine if you will see a solid return on your investment. How Do You Rate The Livability In Grapevine? Grapevine is located minutes from DFW Airport, and only 30-45 minutes from Dallas and Fort Worth. In 2018 Grapevine will become a stop on the commuter rail, allowing for even easier travel to Fort Worth. If you enjoy spending time outdoors, then you will find lots to do in Grapevine. There are lots of well maintained trails, parks, and of course there is the Grapevine lake that allows for kayaking and water skiing. There is also a great community center that offers lots of classes and activities. The Grapevine police department does a great job keeping the area, especially downtown, safe. The downtown has plenty of little restaurants and wine bars and you can listen to live music every night. A couple things to be aware of: The cost of living (rent and home prices!) is rising very quickly. Depending where you live you may be in the DFW flight path and this can result in disruptive aircraft noise that takes some getting used to. Not enough bike lanes. I have lived in Grapevine for the past ten years. The median price for a home is in the $260's and to rent at $1,200. The Grapevine community offers something for everyone, and when one wishes to get away, the Dallas Fort Worth airport is five minutes away. Some of my favorite attractions include the Great Wolf Lodge which is an indoor water park which comes in handing when the Texas summer becomes too bearable. Second, the Sea Life Grapevine Aquarium offers the patron a look at over 5,000 sea creatures. Lastly, when one wants to simply get away from it all, the Elements Spa provides a relaxing atmosphere to rid of your daily stress. The Grapevine nightlife has a variety of options including the Glass Cactus, Love and War in Texas, and the Palace Arts Center. The Glass Cactus sits at the Gaylord Resort and features country and western acts with dancing including a lakeside view. At Love and War in Texas, one can enjoy the local music and if hungry, enjoy the multiple offerings of wild game. The Palace Arts Center built in the 1930s offers live entertainment and classic movies throughout the week. Finding a variety of food is no issue in Grapevine. Personal favorites of mine are the Café Italia, Old Hickory, and Weinberger's Delicatessen. Yet Grapevine is well known for its wine, so one should make a point to set aside time to visit the multitude of wineries in the area. I recommend taking the time to tour the Delaney Vineyards and Homestead Winery. If the outdoors is your thing, Lake Grapevine has everything one would need if interested in sailing, water skiing, fishing, and camping. Finally, most enjoy shopping periodically, and the Grapevine Mills Mall has over 1,600 square foot of stores which includes the Bass Pro Shop. Source: The Grapevine, TX data and statistics displayed above are derived from the 2016 United States Census Bureau American Community Survey (ACS).